Mrs. Bianchi's students are participating in this great fundraiser while practicing their math skills as well. 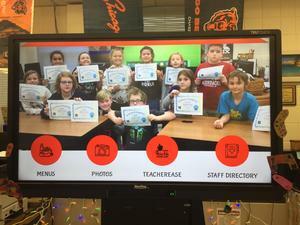 The Bookcreator team reached out to Mrs. Raikes a month or so ago and asked her permission to use the book the students had made for the veterans on their website to show examples of how to use Bookcreator. This shows the the power of sharing their voices and producing quality work. So exciting!!! There was a special guest in Mrs. Rodriguez's room on Thursday. 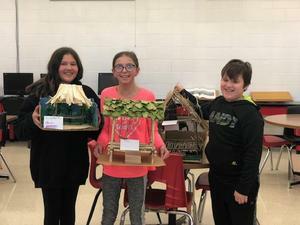 Ms. Kelley's class made native american home models.